This Place of Worship was founded by 1860, but we understand it was closed by 1996. The stonework above the entrance indicates this is "U.M. Free Church A.D. 1875. There is also a street number in the circular pane within the "tympanum" of 128. Old Maps of 1967 label it as "Trinity Methodist Church". At that time also there were two Farms - Green Hall Farm, to the west of the Church, and Broomhall Farm on the opposite side of the road. It was, apparently, predated by an earlier United Methodist Free Church, in Chapel Street, Eckington, as a notice published in The London Gazette of 13th April 1860 (p.1439) recorded its registration for marriages. 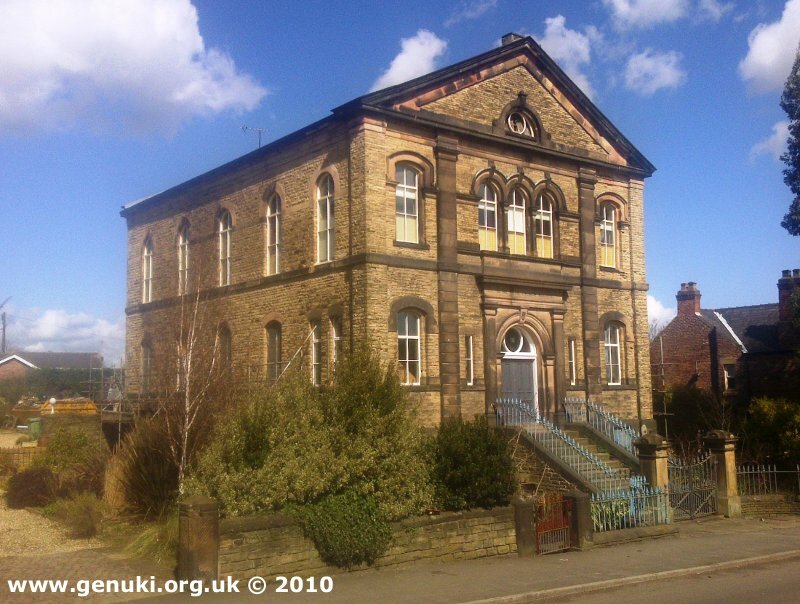 Also the catalogue of Nonconformist Registers at Sheffield Archives refers to a register of baptisms at Eckington's United Methodist Free Chapel which begins in 1860, indicating a degree of continuity. A notice cancelling the registration (for marriages) of "Methodist Church, High Street, Eckington" was published in the Gazette of 30th May 1996 (p.7442), which presumably refers to the 1860 registration, as no intervening notices of cancellation and re-registration has been found. Trinity Methodist Church (United Methodist Free), Eckington shown on a Google Map. Information last updated on 23 Dec 2014 at 14:50. This Report was created 28 Mar 2019 - 02:16:14 GMT from information held in the Derbyshire section of the Places of Worship Database. This was last updated on 6 Feb 2019 at 15:49.